We monitor and evaluate changes in the economy and financial markets so that our clients financial and investing strategies are up to date. Our clients have the peace of mind that comes from knowing they have an experienced and objective advisor working on their behalf. At Hart Financial we simplify complex financial terms and strategies and make them practical. ..it can be difficult to confidently create a solid financial strategy for you and your family. But without a cost effective and update to date plan in place, how will you achieve the lifestyle you have always envisioned for yourself and your family? As a trusted advisor, we work with you to take the guess work out of preparing for today and tomorrow. Are you really clear about your financial goals? Are you confident you can achieve them? Are you prepared for the next economic decline or market downturn? Do you have a solid plan to convert your investments to cash for income when you retire? Our collaborative and goal-focused planning process reduces uncertainty and makes it easy to get started. A cup of coffee and a second opinion. Are you perfectly happy with the financial advice you have received in the past few years? As an independent firm, Hart Financial is committed to offering complete objectivity and unbiased advice. Without a roadmap, the path toward a rewarding retirement can be difficult. Working with an experienced advisor may help make the journey less strenuous and more enjoyable. For over 25 years, we’ve had the privilege of working with pre-retirees and retirees as they pursue their vision of a comfortable retirement. At Hart Financial, we understand the risks individuals and families face as they prepare for this significant milestone. Our goal is to help make that transition more manageable by creating a customized strategy that addresses our clients’ needs for today and tomorrow. Hart Financial serves individuals and families in Clackamas County, Oregon and throughout the country. 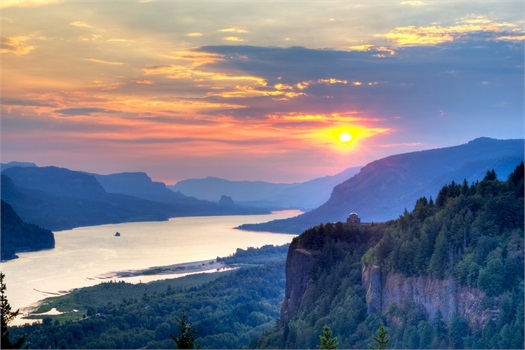 Our office is located 30 minutes south of Portland, right next to the Willamette River in West Linn.